Booklets, flyers, illustrations and more! The young promoters required a booklet made to accompany their Event Management Courses. They asked for bold, fresh colours and an exciting feel to the document that would be easy to follow during a session. 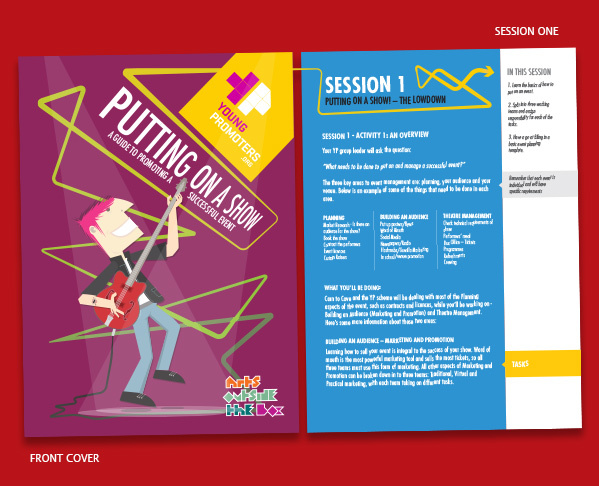 The booklet features a distinct colour for each section and has a dynamic arrow theme that takes the reader through the required steps to complete the session. HTML. CSS. PHP. Wordpress. JQuery. Photoshop. 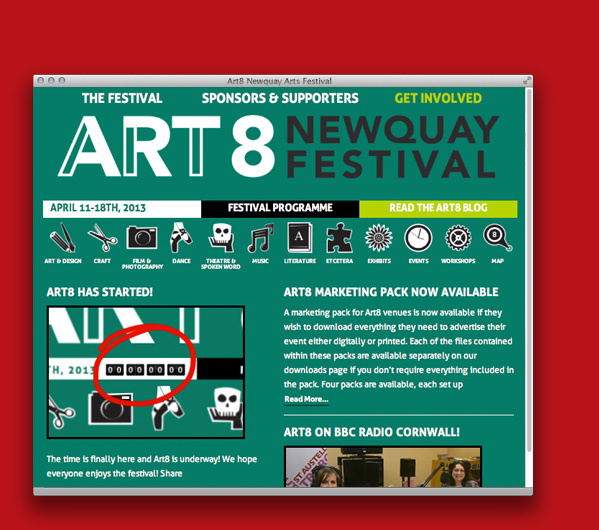 The design of the Art8 Newquay Arts Festival website was a challenging build. News, blogs, online festival programme and more was required to provide this awesome local arts festival with the best web presence possible. Twitter, Facebook, Instagram and Flickr we're all integrated into the build to make a dynamic site that was constantly changing. 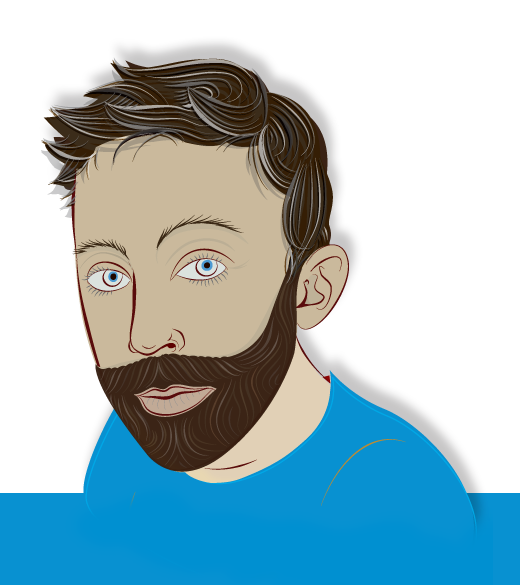 A fun new way of meeting and interacting with people that you know or want to know. 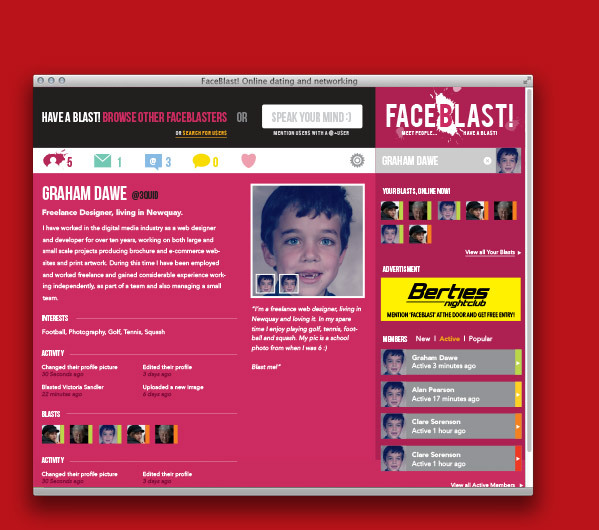 Search for people, blast them and then chat and swap photo. 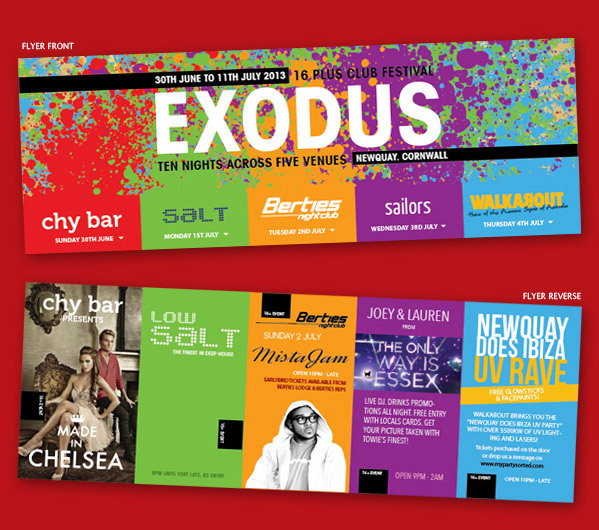 Exodus Club Festival is a joint venture between all of the major bars and clubs in Newquay. It is a 16+ event that draws in teenagers from across the country. The flyer was designed with the idea of a unified identity on the front and also allowing each of the clubs equal space to promote their individual events on the reverse. The front and the reverse sections are held together by providing each night with a specific colour.